FAIRY TALE SHADOW MATCHING - Shadow matching games help children notice a specific element of a picture. Usually children notice the colour of objects. Visual discrimination skills will help children when learning to identify numbers, shapes and letters, since the distinguishing feature will be formation, not colour. FAIRY TALE PUZZLES – Colorful number recognition puzzles 1-10. 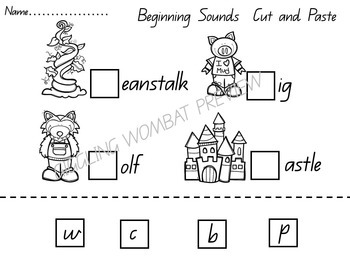 34 FAIRY TALE CLIP CARDS – Number recognition 1-10, Syllables, Beginning sounds. Use with clothespins. FAIRY TALE LACING CARDS - 6 Colorful cards. Print on card. Laminate. Lace with string or shoelaces. 6 FAIRY TALE PLAYDOUGH MATS. 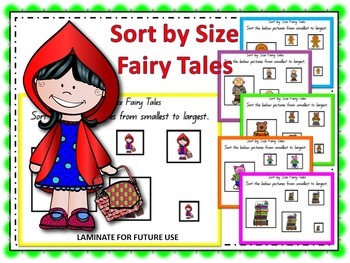 6 EMERGENT READER – Fairy Tale readers that focus on colors. Assemble, read and color these fun little books. 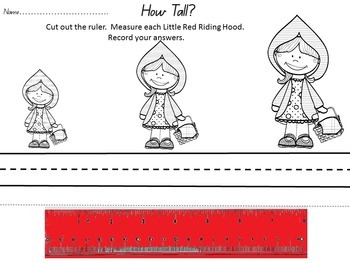 5 FAIRY TALE THEMED GAMES – “Little Red Riding Hood’ Picnic Lotto” (matching). “Princess and the Pea” (number recognition). “Gingerbread Shapes” (shapes). “Beanstalk Color Climb” (color recognition). “Three Little Pigs” (matching game). 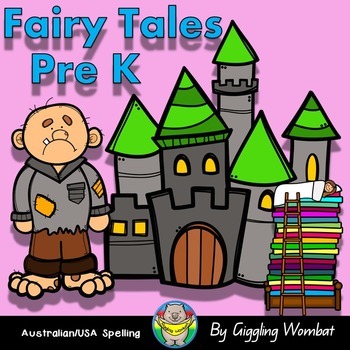 28 NO-PREP FAIRY TALE PRINTABLE WORKSHEETS (fine motor activities)- Use these printable worksheets as morning work or independent work throughout the day. Patterns, tracing, scissor skills, letter “b”, “h”, “g”, “s”, “w” and “p”, cut and paste, color, matching, and measurement.